I will not, as mayor of the City of Johannesburg, make public grand plans about what is to be done in Alexandra without the necessary budget to follow as this would fall into the category of ANC cheap politicking, writes Herman Mashaba. I must say, I do not agree too much with a lot of what South Africa's columnists write about the multi-party government of the City of Johannesburg. In my view, it seems many of the columnists are still recovering from the shock that Johannesburg residents, and those in Tshwane and Nelson Mandela Bay, had the audacity to dislodge the ANC from power in these municipalities and others, in the 2016 local government elections. Yes, not many people gave us a chance, but the reality is that Johannesburg residents wanted change, so they voted for it and got it. I truly believe that the change residents voted for was not intended to be cosmetic; that of replacing one failing party or administration with another. I believe that they wanted change in every way possible – including in the culture that informs how the City of Johannesburg is to be governed, now and into the future. Yesterday, I had the opportunity to read Prince Mashele's article, "DA can't ignore historic mess of Alex after colonialism, apartheid and ANC neglect". I get a clear sense that he too is tired of the lies politicians tell – including election-time suggestions by certain ANC leaders that they can fix the mess they helped to worsen in their more than 20 years in charge of Alexandra township. 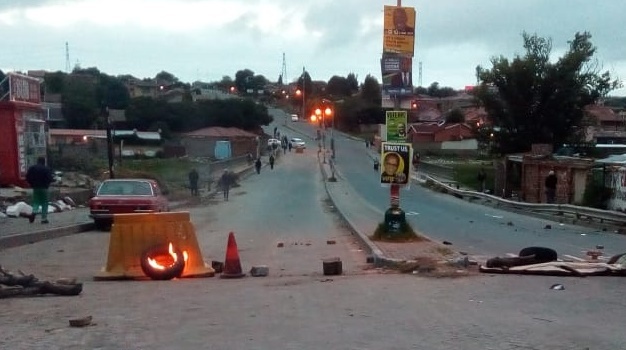 Mashele points out that the problems we see manifest in Alex, are historic and that a serious plan – a REALISTIC one – is needed if we are to stand any chance at rehabilitating Alex and turning it into a habitable environment. Since the beginning of the so-called Alex Total Shutdown, I have been asked about my engagements with the residents of Alexandra about their concerns.Firstly, I have never been afraid to engage residents of Johannesburg. I have already committed to meeting with community leaders in this week and addressing the community as part of a scheduled engagement taking place on April 15, 2019. What I have a problem with is an overt plan to turn the Alex protests into a political football, of which the ANC can benefit off. Since the beginning of the protest, this has been the effort from the ANC – as is evident from statements made by ANC Gauteng chairman David Makhura and even the ANC president, Mr Cyril Ramaphosa, himself. I note that the president intends on engaging residents this coming Thursday. I have requested that we make his engagement an intergovernmental community engagement where national, provincial and local government can engage with the residents of Alex. In this engagement, a strategy to truly deal with problems in Alexandra should be drawn up and, most importantly, a budget to this effect should be produced. On the latter point, I will not, as mayor of the City of Johannesburg, make public grand plans about what is to be done in Alexandra without the necessary budget to follow. I wish to stress that this budget should be realistic, and evidence of its existence MUST be provided to the residents of Alexandra. Only when such has been done can we truly be confident that Alex will be turned around. From a local government standpoint, there are things we can do in Alexandra, such as regular refuse removal, cutting grass, installing street lights and increasing JMPD visibility, but these pale in comparison to the actual scale of work that needs to be undertaken in Alexandra in order to undo the neglect of apartheid and more than 20 years of misrule under past administrations. What is needed is a realisable plan backed up by a sizeable budget. Anything other than this would fall into the category of ANC cheap politicking – and that is not what Alex needs even though we are in an election season.